In the fall of 2012, Ásgeir Trausti Einarsson released an electronically-driven folk album by the name of Dýrð í dauðaþögn — but only in his native Iceland. 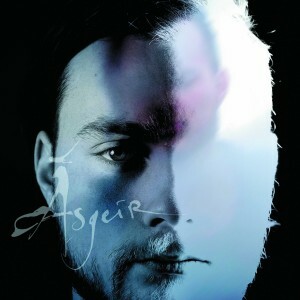 Released when he was a mere 20 years old and wrote under the name Ásgeir Trausti, the prodigious debut immediately went triple-platinum and became the best selling debut full-length ever released in Iceland. The album’s 10 tracks, sung in Icelandic, are each a gorgeous merging of electronic instrumentation and folk sensibility; it’s no wonder the release was met with glowing acclaim. Apparently such enigma could not be contained on the little island of Iceland, because in January 2014 the album reached the rest of the globe. But it’s not the same debut that Icelanders (and the foreigners who picked up the album during Ásgeir’s international touring in 2013, like this lucky Owl) know and love — abroad, Dýrð í dauðaþögn is now In the Silence, the lyrics are completely in English, and the Ásgeir Trausti title was truncated to simply Ásgeir. Commercially, the switch to an anglocentric framework makes sense. Most English speakers can barely pronounce his name (it’s OWSS-gare, for the record. Rhymes with ‘mouse…. hair’), let alone sing along to his lyrics — Icelandic is notoriously complex, so the move was probably an attempt to throw us English-mongering plebeians a bone. His intentions may have been noble, but In the Silence seriously forfeits an entire dimension of fluidity that the Icelandic language set to music offers. Ásgeir’s original tracks, submerged in aqueous electronic beats and a meandering, melodic acoustic guitar, just sounded right layered beneath a crystal-clear falsetto in unintelligible fluidity. Although In the Silence maintains that misty, atmospheric quality with its instrumentation (which didn’t change whatsoever), it’s just missing something. The album is still gorgeous and certainly one to recommend, but along with its fluidity, In the Silence lost a shred of genuineness.